Over the last couple of months, I have continued to campaign against Brexit. 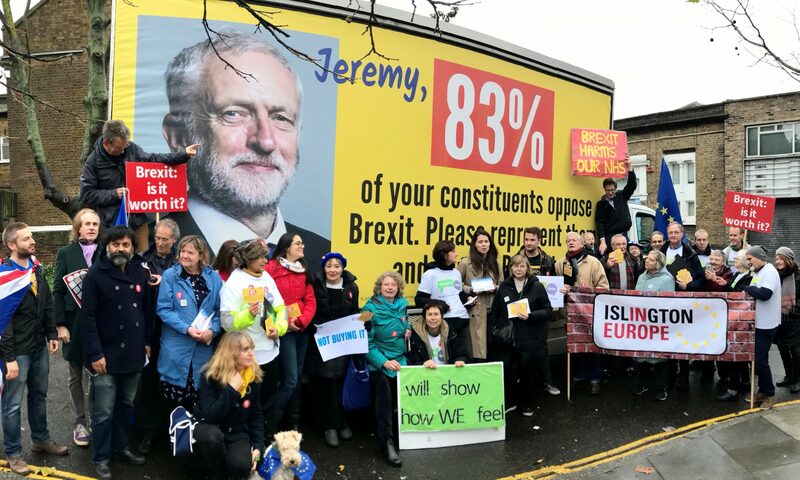 I’ve written to my MP, leafleted and attended the People’s Vote march at the end of June – which provided a much-needed boost and sense of community to all of us Remainers. It certainly made me feel like I wasn’t alone, that the feelings I have about what’s happening in this country are shared by others. I’m not going completely insane, after all. But I had taken a break from writing blogs, a gap which I am herewith trying to fill. This break was partly due to Brexit-related fatigue, depression and anxiety, which affects most campaigners from time to time. But I also found that every time I sat down to write, I felt like I had nothing left to say. Not because Brexit has been uneventful, but because we have moved so far past rational debate and argumentation that everything I could say about how badly Brexit is going felt meaningless. What I mean by this is that it no longer seems to matter that the referendum campaign was marred by lies, the breaking of electoral law and the online manipulation of voters. It no longer seems to matter that the Brexiters feed us lies every day about the golden lands that await us on the other side of Brexit, but that they can never explain a single tangible benefit to us. It no longer seems to matter that the government is displaying unprecedented levels of incompetence, hypocrisy and arrogance. They harp on about the non-existent ‘Brexit dividend.’ The PM comes up with a plan to present to Brussels, which she then tears up two days later by caving in to the ERG. The ministers who brought us this mess resign, tails between their legs, so that they can reclaim the status of betrayed victims, although they utterly failed to deliver even in the slightest on any of their promises. One special cherry on top has been the recent collection of translations of the White Paper. They are embarrassing to the core – I read the German version and wanted to sink into the nearest available hole. It is badly translated, cementing our reputation for isolationism and for being disinterested in understanding other countries and their languages. It is patronising and arrogant – both the content and the assumption that EU parties cannot manage with the English version. A spectacular own goal. The accelerating slide towards authoritarianism no longer seems to matter either. One of the most reputable papers in the country, The Times, does not see any problem in carrying an opinion piece that suggests the UK could do with a little bit of what the strongmen have. They may be unpalatable in many ways, but hey, at least they get things done. We have pesky parliamentary arithmetic that gets in the way of getting things done. Newsflash: without parliamentary arithmetic we have what is commonly called a dictatorship. Meanwhile, established conventions are being thrown out at an alarming rate, whether that is our principled opposition to the death penalty or the tradition of vote pairings. A Tory MEP recently called for British citizens with “EU loyalty” to be tried for treason. What the hell is happening, and why is no one being held to account for these outrages? It no longer seems to matter that we are facing a no deal Brexit, the ramifications of which are unthinkable: everything from throwing five million people and their families into legal limbo to shortages of life-saving medicine to shattering the peace in Northern Ireland to destroying countless small businesses that rely on access to the Single Market to the systematic dismantling of basic rights and protections we had hitherto taken for granted. I’d be thrilled if it turned out I was being paranoid or overly pessimistic. And hopefully I am. But for now, it’s time we all opened our eyes to the very real dangers we face. To the monsters that the referendum has unleashed: the chipping away at our democratic foundations and the breaking of our electoral laws, the normalisation of racism and bigotry, the debasement of our public discourse and the rise of populism. I don’t think there is anywhere left to hide, and there is no longer any room for complacency. Anyone who believes in liberal democracy and basic human rights has to fight, and it is a battle that is bigger than Brexit. The fight does not have to be at the high level of politics. In fact, it needs to happen most forcefully in our own communities. Populists win by dividing us and sowing confusion, mistrust and hatred. As such, even the smallest acts of building bridges between different people undermine their cause. So, stand up to the populist discourse and give people the time and space to reflect. Defend minorities and the vulnerable. Write to your MP and the papers and tell them how you feel. Speak to your neighbours, friends and families. Most importantly, be kind to people – online and in real life – and do what you can for your community. Do not let these people divide us and take us down this path. We’ve been here before. It doesn’t end well. We all have to come together to turn things around. And if we are united, we can still do it.